Water supply is of crucial importance for greenhouse horticulture. An adequate supply of fresh (irrigation) water has to be available – during dry periods as well – and the water needs to be clean and not contain too many salts. Commitments have moreover been made to significantly decrease discharges of plant protection products from greenhouse horticulture in the years ahead and, ultimately, to eliminate them altogether. Within these four projects the supply, discharge and use of water on a scale beyond that of the individual horticulturalist are studied. In this way, a sharper focus can be placed on closing the watercycle, increasing the sector’s self-sufficiency, assuring efficient water use, matching (regional) water surpluses and shortages in time and place, and reusing water. 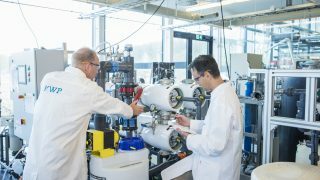 The ‘Water to the greenhouse’ project aims to produce ‘good irrigation water’, through the optimal use of rainwater and other local water sources (e.g., reuse of WWTP water) and by exploiting the potential of the subsurface. The technical challenge entails improving the provision of irrigation water by making use of the ‘water system’, and to develop smart well technologies for this purpose. The storage and/or recovery (abstraction) of drinking water, irrigation water or thermal energy involve creating sources in the subsurface. Normally this is done in coarse-sand, highly permeable aquifers. In some areas there are no coarse-sand aquifers, or other factors make fine-sand aquifers preferable for water or thermal energy production purposes. However, fine-sand aquifers are less permeable and therefore, when standard abstraction wells are used, have lower production capacities. For this reason, the achievement of sufficient production capacities in fine-sand aquifers requires wells of greater diameter than those needed for highly permeable aquifers. The EDGW (Extended Diameter Gravelpack Well) is an easily installed, shallow well, whose diameter increases with depth. It allows one to achieve a large borehole at great depth and relatively inexpensively. For the future, the EDGW technique also offers the prospect of installing recyclable wells. It makes it easier to simply rebore through the filter paths of abandoned wells, by leaving the casing in place. 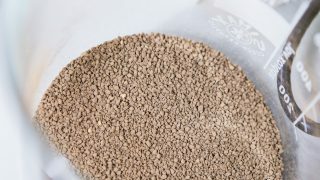 This offers possible cost-savings over the long term, and avoids the need to drill extra wells through protective claystone layers; it is an interesting option for wellfields that dispose of limited space and where wells need to be regularly replaced. 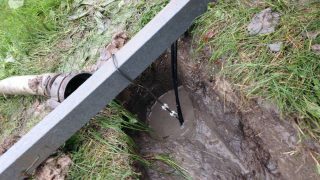 Water company Vitens has installed a EDGW at one of its wellfields. 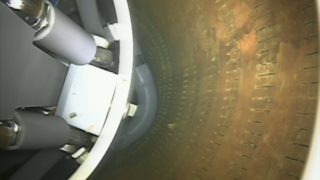 The well is currently being used for drinking water production and its performance will be monitored over the long term. EDGW stands for Expanded Diameter Gravel Well. The purpose of the EDGW is to achieve a high abstraction rate in fine-sand aquifers. This is done by using a new drilling method to make a much larger diameter borehole. The new drilling method was developed in collaboration with the Haitjema drilling company and Vitens. HDDW installation is a technique used for the storage of large volumes of freshwater in the subsurface under particular circumstances, such as when disturbance on the surface has to be limited and the layered positioning of the well in the subsurface is required. An HDDW is also highly suitable for groundwater abstraction. HDDW installation in fine-sand soils and research into the most appropriate drilling fluid are focal points in the technique’s application at Dunea’s dune drinking water production area. The well was installed in 2015 and developed in 2016/2016. 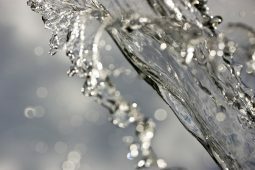 It is currently also being used for drinking water production and its performance will be monitored over the long term. 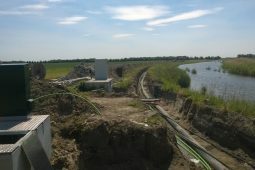 Installation of the level-controlled drainage system on farmer Van Dijk’s land. Starting in 2016, the system has been used to infiltrate Bavaria’s treated residual water into the subsurface via subirrigation, thus maintaining or raising the groundwater level and the soil moisture. The system allows the farmer to actively control the moisture regime in his meadow for optimal crop production, with or without supplementary sprinkling. Built-up areas are regularly confronted with flooding caused by extreme precipitation while, in periods of drought, water has to be brought into the areas. The temporary storage of water surpluses requires a lot of surface space, which is scarce. Subsurface water storage offers an alternative. 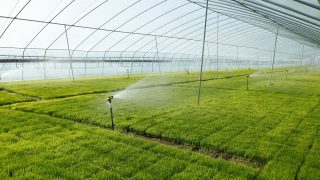 The technique is known as aquifer storage and recovery (ASR), and is already being implemented on a local basis in the greenhouse horticulture sector as a means of retaining more rainwater. 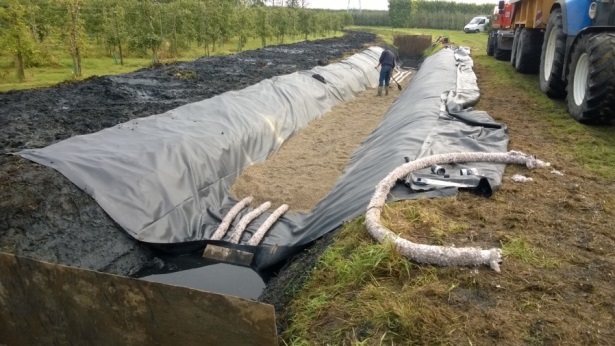 The challenge that is involved is the treatment of large volumes of water in a short period of time, so as to make it suitable for infiltration into the subsurface. 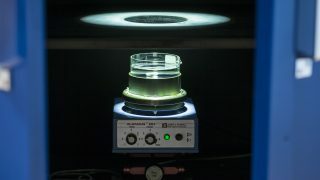 The goal of this research was to identify techniques that can rapidly remove suspended solids and potential contaminants from large volumes of water. A table was then drawn up with calculations on how well (qualitatively) the treatment methods performed with regard for instance to (1) treatment efficiency, (2) surface area occupied, (3) budgeting, (4) possible greening benefits, and (5) available management and maintenance resources. 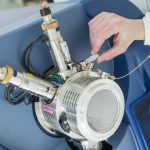 The assessment was incorporated into a summary table which companies can use to make an initial selection of the most appropriate pre-treatment technologies. The optimal choice will vary according to the location; for example, the desirable treatment efficiency depends on the water’s source and its intended use. Water bottom filtration at the Ovezande Freshmaker Ovezande (surface water runoff ). 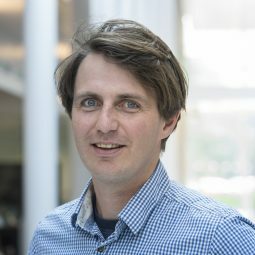 Smart Wellfield: gains from smart management or separate abstraction?